Location: Oxford Castle & Prison’s Castleyard OR for a shorter walk, please meet us outside the Visitor Information Centre, 15-16 Broad Street at 7.00pm. 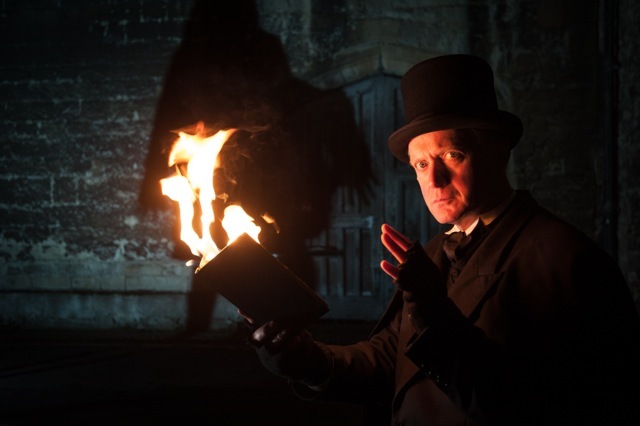 You are cordially invited to join Bill Spectre on a walking tour (all outdoors) of Oxford’s Ghosts! Illustrated with props and illusions, your costumed guide (who is a professional actor and equity member) will entertain and horrify you through the streets of this most historic city. You may regret not bringing a camera. The spirits of Oxford are revealed, when you examine the nightmares that lie beneath the dreaming spires of this most edifying city. Join Bill as he lifts the lid on this seat of learning. Tours depart from outside Oxford Castle & Prison at 6.30pm. Tour groups above 15 attendees will need to contact Bill directly to arrange. For further information and for group bookings please visit www.ghosttrail.org.